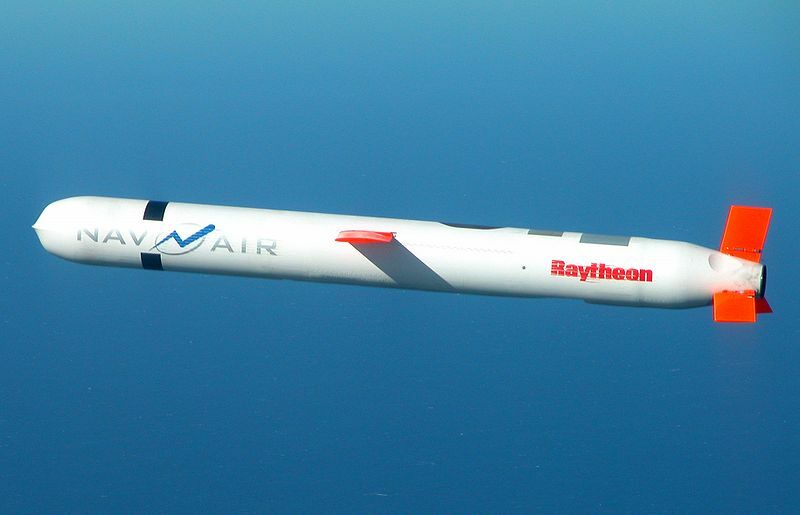 Tomahawk Block IV cruise missile during a flight test (US Navy). Spain recently bought 24. DoF believes that America must designate WikiLeaks a "terrorist organization" -- and the sooner the better. However, until the US manages to shut down or otherwise "silence" WikiLeaks, DoF will be working with other US government agencies and our partners in the US news media to help the American pubic interpret the leaked cables. As you are no doubt aware, DoF is a big supporter of US defense contractors and the global arms trade generally. When we sell NATO countries arms, we're giving our allies an opportunity to profit. If you're a close friend of America, when you buy our weapons, you can later sell products that include US technology to less privilaged nations at a healthy markup. America profits, and so do you. It's win-win. .... Spanish Defense Ministry officials have seen you with Secretary Gates, and may raise the issue with you in hopes of getting it top-level attention. Defense Minister Alonso has raised the issue in public speeches and his people have raised it in meetings. They point to Spanish purchases like 24 Tomahawk missiles and US AEGIS combat systems for its F-100 frigates and S-80 subs, which the GOS made over the protests of European allies like France and Germany, and say that while MOD plans to continue a strong relationship with the US defense industry and knows that it is getting the best when it buys US, it would appreciate a "gesture" from the US so that it can show domestic audiences that Spain gets something out of the relationship. While we continue to push Spain to buy into the Joint Strike Fighter program, we know that Spain is very anxious to learn whether Spanish company EADS-CASA will get the Joint Cargo Aircraft contract. We try to remind MOD that while there may be a dollar imbalance in the defense relationship, Spain benefits from the relationship in other ways, not only getting the best technology for its military, but also being able to sell products that include US technology to third countries. By buying from us, friends profit with us. The global arms trade is win-win for America and its allies.